On the off-chance that you haven't read this book about how the American medical establishment deals with end-of-life issues, do track down a copy--for yourself, your doctor, your children. My 25-year-old book group had one of its most intense and personal meetings the night 20 of us met to discuss it. 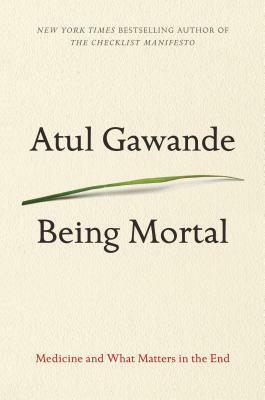 Gawande is a surgeon, teaches at Harvard Medical School, writes for the New Yorker and has produced a readable, anecdotal and possibly culture-shifting book. Thoughtful, anecdotal, thought-provoking. A genuinely important book. Highly Recommended!